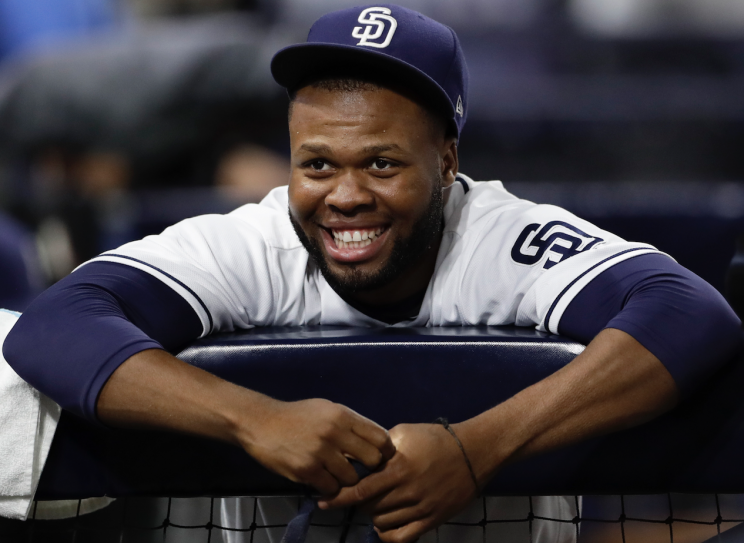 What’s Next for the Padres’ Manuel Margot? At one point, Manuel Margot was considered the best all-around player on the Padres team. 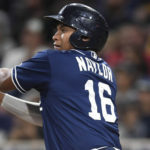 Can the outfielder rebound after a down 2018 season? 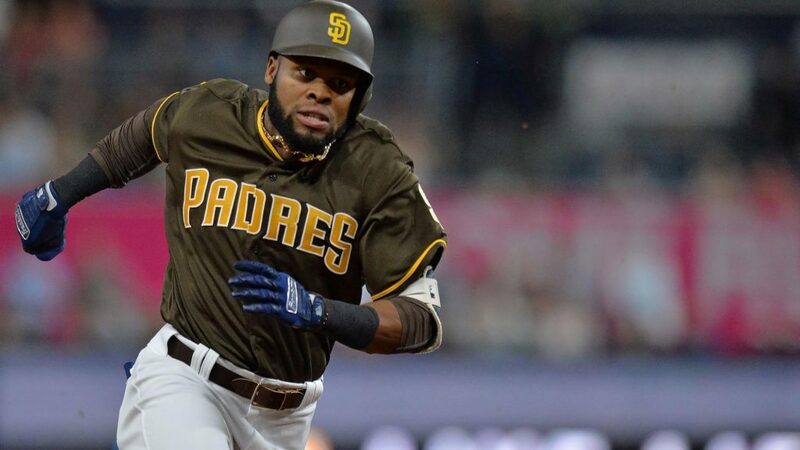 Following a disappointing season that saw him bumped from the top of the batting order, Manuel Margot needs a big bounce-back season in 2019. 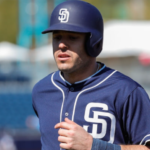 Once ranked the number one prospect in the Padres system by MLB.com, the team’s center fielder carried a lot of promise with him when he was acquired from Boston in November of 2015 in the Craig Kimbrel trade. In his time in the minors, Margot was known for his plus defense and base stealing ability and was projected to be a top-of-the-order bat. Aside from his ability to make highlight reel plays on a nightly basis, Margot has yet to live up to much of the hype that accompanied him. Margot has brought his speed with him to the majors and ranks among the quickest in the game. In 2018, he posted the 25th best sprint speed in baseball at 29.4 ft/sec, which was identical to his 2017 rate when he was 20th in the league. Thus far, he hasn’t been able to translate that speed into successful stolen base attempts. Since the start of 2017, he’s been caught stealing 17 times in his 45 attempts, including being thrown out ten times this past season in just 21 tries. Some of the other elite base runners in baseball can expect to be thrown out around the same number of times that Margot was in 2018 because those players tend to have a much higher frequency of success whereas Margot ranked dead last in stolen base percentage among players with at least ten attempts. Margot’s base running blunders included some glaringly wrong routes on the base paths, where he would seemingly fail to run in a straight line, leading him to have more ground to cover in his attempts at swiping a bag. Collectively, the Padres were pretty bad on the bases in 2018, regularly committing blunders. This spring the Padres started off hitting the ground running, literally, by being very aggressive on the base paths. Margot has only had four attempts so far in camp and has been thrown out on two of those tries. Hopefully, the additional focus that the Padres have put on baserunning this spring will continue as the calendar flips over to April. Despite his struggles on the bases, Margot’s speed has been a handy tool that’s contributed to his reputation as a solid centerfielder capable of making the difficult play look routine. In 2018, Margot was one of the top fielders in baseball ranking 6th in outs above average with 13, ahead of names like Jackie Bradley Jr. AL MVP Mookie Betts, and Kevin Keirmaier. Margot excelled at moving in all directions to chase down fly balls, having a positive OAA in all six directions tracked by Statcast. As it stands, the value that Margot adds on defense, especially with the deficiencies that the Padres have in the two corner outfield positions, will probably keep him from being overtaken by Franchy Cordero. Franchy needs to show significant improvement on the paths he takes to run down balls, something he’s struggled with since transitioning to the outfield from shortstop. 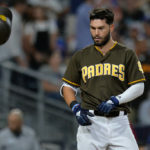 Despite a continuation of his struggles at the plate last season, there were several signs for cautious optimism from Padres fans that significant improvement may be just around the corner. Margot started the 2018 season off very slowly, but as the summer months heated up, so did his bat. On July 30th, he reached his peak expected wOBA for the season at .385. He had another regression in August but heated up once again down the stretch and would wind up closing out the season just below the league average line at .305. Margot would ultimately end up with lower numbers across the board when compared to 2017, as far as the traditional stats go, seeing an 18 point drop in batting average (.263 to .245) and a 21 point drop in OBP (from .313 to .292). However, Margot did see improvements in his ability to lay off pitches outside of the zone and make hard contact. His chase percentage dropped from 27.3 to 24.3, and there was a subsequent three-point dip in his K rate from 20 to 17. 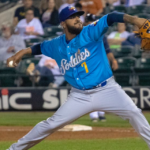 Manny also saw nearly an eight-point jump in his hard hit percentage from 28.8 to 36.5, as well as upping the percentage of pitches he barreled from 2.6 to 3.3. Despite a dip in his line drive rate, his launch angle rose over a full point from 10.1 to 11.4, but he doesn’t generate a lot of exit velocity on his swings. Despite a rise of 3.2 mph in exit velocity, his average was still only 88.7 mph which ranked 125th in baseball right around some notable sluggers like Rhys Hoskins (88.9 mph), Matt Adams (88.7 mph), and Travis Shaw (88.4 mph). A big difference between Margot and those other names is that they manage to get significantly more lift under the ball as they have an average launch angle between the three of 19.3 degrees. Margot’s increase in his ground ball rate and inability to hit the ball hard on a line regularly was likely a significant contributor to his regression from his 2017 rookie season that saw him post a .263/.313/.409 line with a 92 OPS+. 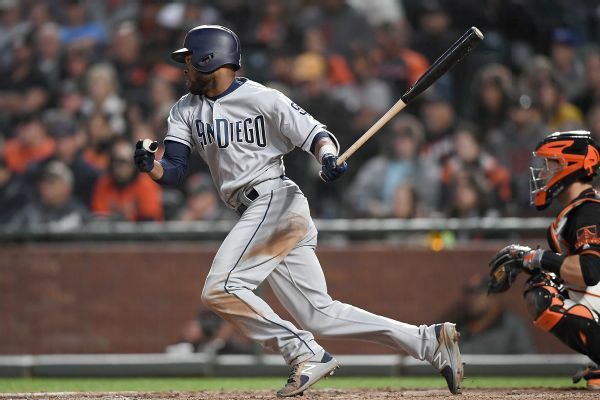 Manuel Margot was expected to be a pivotal contributor to the Padres offense when he first arrived here. He burst onto the scene in 2017 with his pair of home runs off the Giants on opening day, but everything since then has been relatively lackluster. When Manny is at his best, he’s hitting hard line drives into the middle of the field and not pulling the ball into left at a 34 percent clip as he did in 2018. Being one of the best defensive outfielders in the game will not be enough to maintain his starting role on a team that is expecting to be pushing for a playoff spot in the coming seasons. 2019 will likely be Manuel Margot’s last chance to cement his place as this team’s center fielder moving forward into the competitive window. Franchy Cordero has flashed glimpses of his offensive potential during his limited playing time at the major league level, but his need to develop on defense and cut down on his K rate likely means we’ll see him starting the season in El Paso to get regular playing time. Last season, Buddy Reed broke out in a big way at Lake Elsinore but struggled mightily upon being promoted to San Antonio. It looks like he should start 2019 with Amarillo, the club’s new Double-A affiliate, but if he can quickly get his feet back under him and return to his form from the first half of 2018, look for him to be another contender for the center field job in 2020. 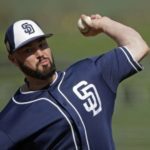 This is an exciting time for Padres baseball, as much of the top talent from baseball’s top-ranked farm system is starting to reach the upper levels of minor leagues and knock loudly on the door of the major league club. 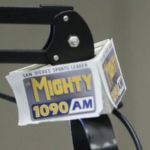 Couple that with the signing of Manny Machado, and the time for competitive baseball in San Diego is just around the corner. It’s put up or shut up time for the guys already here. Growing up in Dodgers country, Bradley would proudly display his Padres fandom through the roughest years of non competitiveness and rebuilding. With the Padres on the verge of contending, he’s excited to get the opportunity to cover them on a regular basis along with their minor league system. You don’t reward incompetence. He has talent. He is falling far short of his physical gifts. He should, therefore, be in the minors working on it, both as incentive and, of course, improve. By rewarding his ineptness you are harming him, and the team. He’s incompetent because he wasn’t a polished base stealer at age 23? He’s falling short of his physical gifts at age 24? He got a poor start with nagging injury and hit .192/.215 in April/May, so he should go back to the minors, even though he hit .309 in June and .274 in July? He should have come from the minors a fully formed superstar and play progressively better each year with no rough patches, otherwise he’s inept? Goodness gracious you have high standards for second year players! Wow, Larry, I appreciate the input but you sound more like a political spin doctor. Given his physical abilities he was horrible at stealing bases, but you spin this to “he wasn’t a polished base stealer”? You blame this on a nagging injury? Or he is just not a good hitter? 23? 24? Yes, people should be at a certain level by certain ages. There are countless 24 year olds who are far more “polished” at base running/stealing bases than he is, and with far less talent. It is not unreasonable, it is more than fair. And he has been given too many opportunities at the wrong level. It’s hard to fathom how a sophomore jinx season can call the talent into question. Hes he was terrible leading off, 5 walks vs. 30 Ks, he hit .183 leading off, but tht was the beginning of the season when he had some nagging injuries that reduced his performance but didn’t keep him out of the lineup. He definitely showed his baserunning needs work, but his glove was mostly excellent, and he actually produced decent offense when dropped in the order. He hit .299/.372/.477 hitting 7th, with 13 walks vs. 14 Ks, with 9 doubles and 5 triples in 121 PAs. 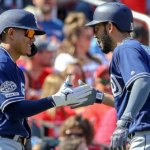 He’s not going to lead off while Kinsler is in the lineup, and Tatis jr. will probably take over leadoff once he’s promoted, but it’s a good thing for Margot that he produces lower in the order. He’s almost as good hitting 8th, hitting .278/.325/.438 with 10 doubles, 2 triples and 3 homers in 158 PAs. Bottom line, he was solid defensively and productive offensively, even in his sophomore jinx year. He should be more productive in this, his rebound year, now that the manager and GM realize his speed doesn’t make him a leadoff hitter. Margot has by far the highest ceiling of any OF on the club. So at only 24, you stick with him another year, and considering Cordero’s lack of polish, maybe longer. If it matters, his ST numbers have been very good. Tom, not sure what skills come into play for this ceiling you think Margot has. He is a solid defender, for me that is it. I don’t think plus defenders make the AS TEAM. We will see if his OK ST carries over to the regular season. But hitting near the bottom of the order takes allot of Margot’s small ball skills out of the equation. Unless he improves considerably, Reed takes his spot next season. Why can’t Margot learn how steal bases better. He should be able to go first to third with ease and really out pressure on opponents defense. Forget launch angle and all that learn how to play small ball. Anytime he gets on it should be a double because it should be a matter of when not if. IMO, he has till Jankowski gets healthy to show he can do the job but as a 8 hole hitter the small ball game has far less importance then if he led off. Reed is coming other middle IF with similar offensive package are getting close. It is make or break in 2019. It’s easy to focus on the offensive shortcomings that Margot displayed last season, but youth, upside, and the rest of his game say otherwise. Margot is a dependable plus defender that the Padres can count on everyday. Margot was not given the same treatment as Renfroe and Reyes when they were sent down to work on their offensive game. Now with the lack of quality depth in centerfield along with injuries the Padres need to count on Margot to be on the field everyday.